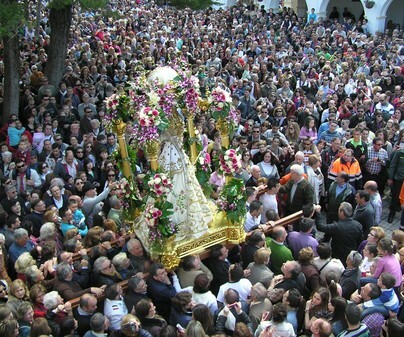 Cortes Virgin pilgrimage is the oldest in Spain: it dates back to 1222. 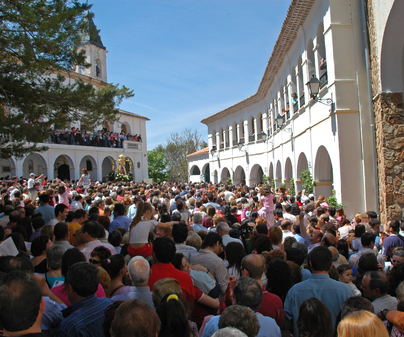 It is undoubtedly the most important pilgrimage in Albacete province and it spreads to other bordering territories. The number of attendants has gone as far as exceeding 60,000 people. Only 4 kilometers away from Alcaraz, on the road that goes up to Peñascosa, we find the Royal Monastery and Shrine of Our Lady of Cortes. There, in 1265, Alfonso X the Wise met his father-in-law Jaime I of Aragón to delimit conquered lands, holding joint Court (Cortesin Spanish), from where the Shrine and the dedication to the Virgin are named. 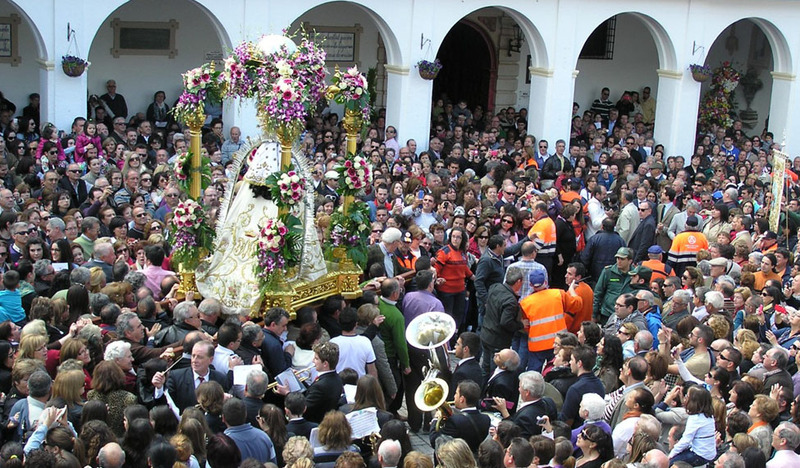 September 8this the main day, when the Cortes Virgin is taken to her Shrine on pilgrimage; the pilgrims make the itinerary walking, many coming on pilgrimage from nearby villages, even from other provinces. At dawn, the image leaves the municipality, going with difficulty along a way full of faithful. When she reaches her shrine, the crowd is immense. 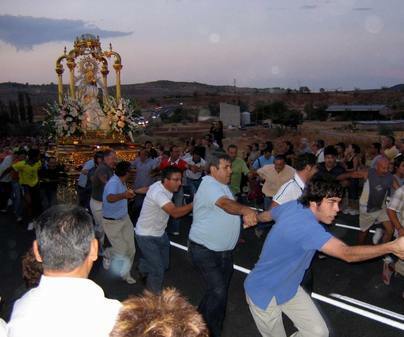 Other pilgrimages are held on May 1stand August 26th, when the Virgin image is taken to Alcaraz. Both are much less numerous and more local. Occasionally, and due to a possible water request on a drought period, these two dates might be changed.